When you’re sitting in your home, you probably take it for granted that water will flow freely when you turn on a faucet. You may also assume that water will flow almost silently from an open faucet, with the splash of the liquid hitting the basin the only audible sign that water is flowing at all. While your assumptions may be accurate the vast majority of the time, there may come a time when your plumbing emits other sounds. More specifically, your plumbing may issue audible sounds that indicate there’s a problem that can range from a minor issue to a much bigger problem. You might not realize it because you can’t see them, but water pipes run within the walls throughout the physical structure of your residence. For this reason, you might hear your plumbing make odd noises even when you’re nowhere near a sink, tub, shower, toilet, spigot or washing machine. One noise that’s commonly heard is vibrating. Your pipes will vibrate at least slightly whenever water passes through them. If you notice some vibrating or rattling, loose pipes might be the cause. If that’s the case, you can tighten the pipes’ mounting straps to better secure your pipes or you can use new straps. 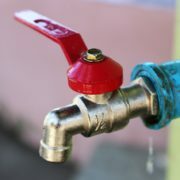 If that doesn’t stop the rattling sound, your water pressure may be too high. Contact your local plumber and ask to have a pressure-reducing valve installed. Thudding, shuddering or banging sounds are another sign of vibrating pipes. Unfortunately, these sounds are an indicator of a much more serious problem than loose pipes. These sounds are indicative of what’s called the “water hammer” effect. This happens when a fast-closing valve shuts off the flow of water quickly, which produces a sound that resembles a hammer coming into contact with a solid surface. If you allow these sounds to continue for too long, the hammer effect can cause serious, lasting damage to your plumbing. If the sounds get progressively louder, it means your problem is getting even worse. The moment you hear thudding, shuddering or banging sounds related to your plumbing, get in touch with a professional plumber as soon as you can. If you hear gurgling when water is flowing down a given drain, it’s probably the result of something blocking the water’s movement. To stop the gurgling, remove the blockage. If all of your drains gurgle, it’s likely that your drain vents are the culprit. If your drains aren’t vented properly, it’ll cause air bubbles which will then cause your drains to gurgle. To have the appropriate drain vents installed, contact a professional expert. If you hear screeching or whining when you turn a faucet on, it’s a definite sign that the faucet has a loose or broken part. The simplest way to resolve an issue with a screeching faucet is to replace the faucet. Since 1940, Garvin’s Sewer Service has been serving residents and businesses in and around Denver, CO. If you’ve heard a noise that indicates you may have a problem with your plumbing, we can help. Contact Garvin’s Sewer Service to schedule an appointment today. Plumbing repair service is on the top of the list for calls business owners don’t want to make. But, commerce is hoping in Denver. Our massive population increase over the past decade may only be greater than the gold rush! While at that time pioneers traveled from the Midwest in search of wealth from gold, today’s transplants come for beautiful views, legal weed, 300 days of sunshine and income opportunities. For many organizations, it means business is booming. And, with all this commerce, plumbing usage is increasing as well. Here are some tips for keeping your commercial space from needing undesirable plumbing repair service. The best way to prevent emergency plumbing repair service needs is to do preventive care and maintenance. Having regularly scheduled drain cleaning services will prevent messy and costly sewer line back-ups. While all back-ups can’t be prevented, regular cleanings prevent build up that can lead to clogs and a resulting sewer back up. Plumbing system inspections including the kits to test for leaks can also help prevent breaks, bursts and flooding. Post signs and have accessible trash receptacles near toilets and drains to prevent excess use. Signage stating that flushing of paper towels, wipes or feminine products in the toilet is prohibited help prevent sewer clogs. Trash cans near hand wipe, paper towel, dog waste, front doors or other like areas prevents drain disposal as well. Insulate exposed water lines that could be exposed to freezing. Colorado has erratic weather and a freeze can hit almost any time of year. Be prepared with proper insulation as well as clear drainage routes if a pipe does burst to prevent or reduce damage from flooding. Restaurants typically have high levels of plumbing needs due to the volume of food waste they create. Instruct employees on proper disposal, such as using trash cans rather than drains, knowing how and where to dispose of grease and oil, and recognizing when plumbing service is needed and reporting it. Again, regular maintenance can be of great benefit in food service for floor drains, soda machine lines, bathrooms, mop and prep sinks and more. Bonus tip: Be sure to have preapproved and pre-established relationships with a 24/hour plumbing repair service provider (or two). Be sure the right people have access to your emergency repair companies available to ensure business continues to move forward as needed, with as little down time as possible. Here’s to your success! If you are looking for a commercial plumbing repair service provider in Englewood, Denver or the surrounding area, consider Garvin’s Sewer Service. Since 1940, Garvin’s has been helping Denver area restaurants and other businesses resolve their drain and plumbing needs. 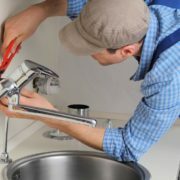 Plumbing Repair Service: Do It Yourself Plumbing or Call a Plumber? It seems to be the way we live today- asking Siri or turning to YouTube for instructions on how to solve everything from how to win at Poker to how to fix plumbing. We have created quite a few videos to support the Do-It-Yourself people out there, but it’s important to know when to call a plumbing repair service. Unplugging a clogged tub: Tubs can easily clog with hair, and chemical drain clearing products are mostly ineffective, caustic and dangerous. Instead, try this technique to get those clogs out. During your annual sewer line cleaning, ask for them to run any additional drains, such as a tub or sink that seem to clog easily. There is usually a discount and it makes certain the entire length of the line is clear. Flushing a water heater: Sometimes a water heater needs to be flushed to remove sediment that is keeping it from working properly. Flushing it will extend the life of the water heater in these cases. Please note that flushing a water heater is best done by a plumbing repair service when there is any chance of flooding a lower level or a finished space. Clearing a P-trap: Sinks can also clog easily, or very frequently, we can lose objects such as earrings, rings, or even toothpaste caps. Clearing the p-trap can help you resolve the matter, and hopefully save the run-away object. 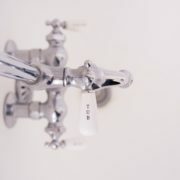 Shutting off your main water supply: In the case of a major leak, it is critical to turn off your water right away to prevent flooding and water waste. 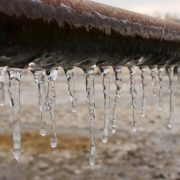 If you go out of town and experience a pipe bursting, it is important that anyone watching your home know how to turn it off as well. Relighting your pilot light: Cold showers are awful! Be sure to know how to check your water heater’s pilot light and be able to relight it. If it continues to not stay lit, a call to a plumbing repair service is in order to see what is causing the problem and how to fix it. Resetting your garbage disposal: Sometimes when a garbage disposal stops working, it just needs to be reset. Follow these instructions to reset your garbage disposal. If this doesn’t work, call a professional plumber for them to further assess the problem. Plumbing Repair Service should always be called in the case of emergencies, flooding, main sewer line back-ups or installation of products that can lead to water damage if installed by someone other than a professional plumber. This could include: faucets, new installations, ice makers, hose bibs and more. Not sure if you can handle it on your own? Give us a call and we are happy to answer your questions! https://www.garvinssewerservice.com/wp-content/uploads/2017/02/logo.jpg 0 0 Kris Jordan https://www.garvinssewerservice.com/wp-content/uploads/2017/02/logo.jpg Kris Jordan2017-08-15 17:17:452017-08-11 17:20:57Plumbing Repair Service: Do It Yourself Plumbing or Call a Plumber?